Soil Spray Aid, Inc. has a license agreement for patent number 7001869. Crop Prod is specifically developed to increase plant vigor and help reduce the yield robbing effects of stress on any crop. Stress is not limited to water, nutrients, or weather. 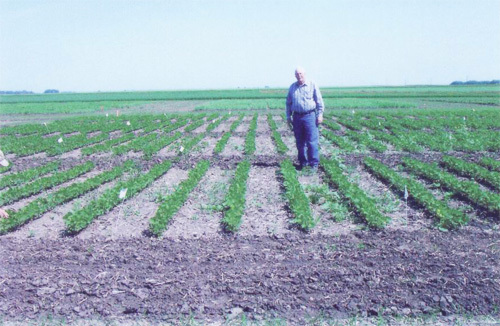 Normal plant growth (germination, pod size, head development, blossom, hooking, etc.) are some of the major stress factors governing a plant. 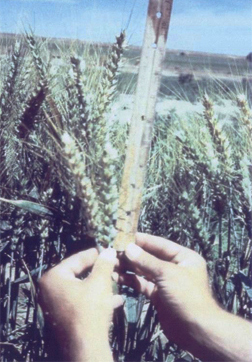 Most plants go through similar types of stress that result in lack of yield and/or quality. Increasing health and vigor enhances the plant's ability to overcome stress. Growth and yields of the plant are governed by any nutrient in the least supply, not by those in abundant supply. Crop Prod's complete formulation of instantly assimilated major and minor plant nutrients make it immediately available to the plant. Crop Prod is non-toxic, biologically degradable, and instantly available. 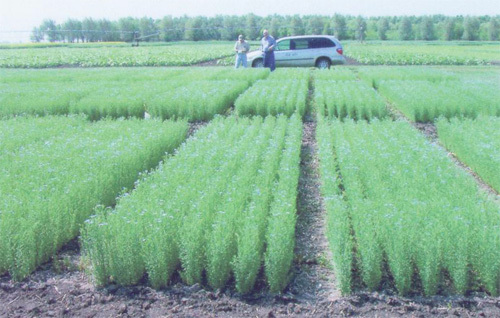 Crop Prod can be tank mixed with most herbicides, pesticides and fungicides. Crop Prod aids the efficiency of both herbicide and insecticides. Crop Prod will not eat your equipment and is environmentally friendly. Crop Prod has increased yields on wheat, barley, potatoes, corn, hay, peas, beans, soybeans, sugar beets and sunflowers by as much as 26%.